It is now over a year since former celebrity couple Angelina Jolie and Brad Pitt called it quits. They were married for barely two years. Between them, they share six children and both parents agreed to share the responsibility of raising. But how do they cope? Unwilling to hold on to the animosity that marked their separation, Angelina has moved on. In the early part of 2017, she purchased property valued at $24 in Los Angeles, California. There she spends most of her time with all six kids, Maddox, 16, Pax, 14, Zahara, 12, Shiloh, 11, and twins Vivienne and Knox, 9. It can be a herculean task, taking care of that many children and still holding on to a career as an actor. But she is not alone as Brad still plays a major role in the life of their children. Right now, all the children are pretty much occupied with school. Still, they get to spend time with their father, Brad, as he always makes room in his schedule for them. They visit him in his California home and often spend weekends to catch-up and share fun moments. Angelina is busy with everything she is doing, including being a super mom to her kids. But she is doing fine and working with Brad on ways to continue their lives so everyone is happy. The children are also taking an active interest in their parents’ careers. Maddox recently worked as Executive Producer on Angelina’s Golden Globe-nominated movie, First They Killed My Father. 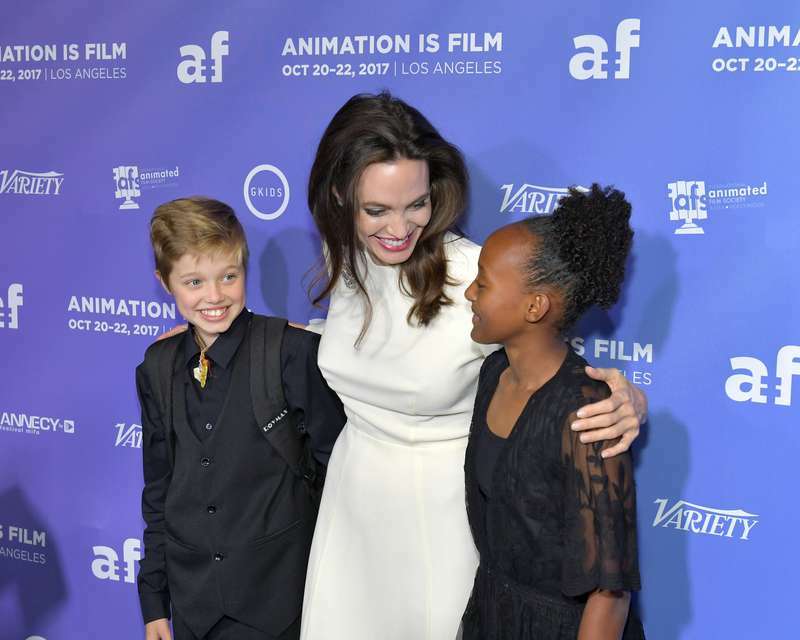 Jolie also makes public appearances with her children occasionally. She does her a lot on her plate right now but Angelina handles it all like a champ.